My research is to develop highly-sensitive geophysical instruments using optical methods such as laser interferometry, and use them for seismic and geodetic observations. Long-baseline laser strainmeters, a compact absolute gravimeter, optical-fiber-linked seismometers and tiltmeters have been developed. Improvement in measurement accuracy and observation at new frontier site have been enabled. A. Araya, S. Telada, K. Tochikubo, S. Taniguchi, R. Takahashi, K. Kawabe, D. Tatsumi, T. Yamazaki, S. Kawamura, S. Miyoki, S. Moriwaki, M. Musha, S. Nagano, M.-K. Fujimoto, K. Horikoshi, N. Mio, Y. Naito, A. Takamori, and K. Yamamoto, Absolute-length determination of a long-baseline Fabry-Perot cavity by means of resonating modulation sidebands, Appl. Opt., 38, 13, 2848--2856, 1999. A. Araya, T. Kunugi, Y. Fukao, I. Yamada, N. Suda, S. Maruyama, N. Mio, and S. Moriwaki, Iodine-stabilized Nd:YAG laser applied to a long-baseline interferometer for wideband earth strain observations, Rev. Sci. Instrum., 73, 6, 2434--2439, 2002. 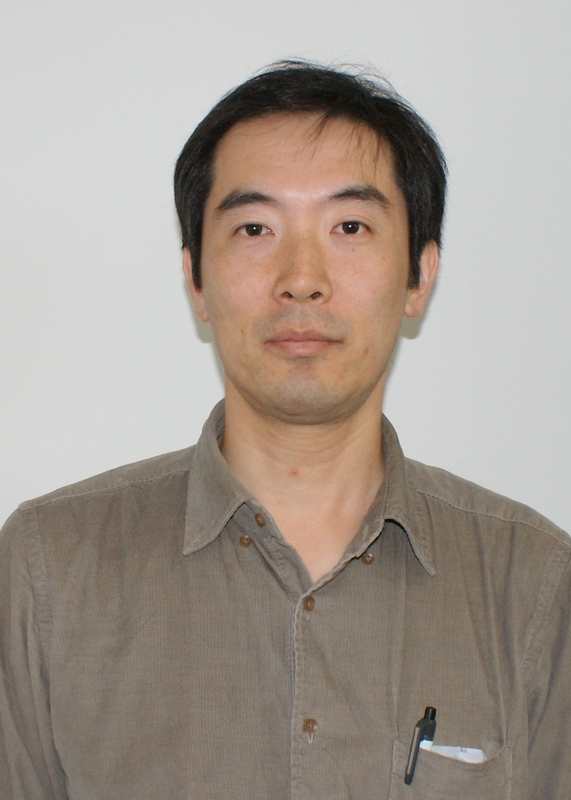 Araya, A., W. Morii, H. Hayakawa, A. Takamori, T. Uchiyama, M. Ohashi, I. Yamada, S. Telada, and S. Takemoto, Broadband observation with laser strainmeters and a strategy for high resolution long-term strain observation based on quantum standard, J. Geod. Soc. Japan, 53, 2, 81--97, 2007. Araya, A., A. Takamori, W. Morii, H. Hayakawa, T. Uchiyama, M. Ohashi, S. Telada and S. Takemoto, Analyses of far-field coseismic crustal deformation observed by a new laser distance measurement system, Geophys. J. Int., 181, 127--140, 2010. 新谷昌人・西川泰弘・堀輝人・小林直樹・白石浩章・鹿熊英昭・石原吉明, 超高感度広帯域地震計による惑星内部モニタ, 日本惑星科学会誌, 21, 3, 289--293, 2012. Araya, A., M. Shinohara, T. Kanazawa, H. Fujimoto, T. Yamada, T. Ishihara, K. Iizasa, and S. Tsukioka, Development and demonstration of a gravity gradiometer onboard an autonomous underwater vehicle for detecting massive subseafloor deposits, Ocean Engineering, 105, 64--71, 2015. Araya, A., A. Takamori, W. Morii, K. Miyo, M. Ohashi, K. Hayama, T. Uchiyama, S. Miyoki, and Y. Saito, Design and operation of a 1500-m laser strainmeter installed at an underground site in Kamioka, Japan, Earth Planets Space, 69, 77, , 2017. 新谷昌人・坪川恒也, 小型絶対重力計の開発, 月刊地球, 32, 4, 271--277, 2010. 新谷昌人, 長基線レーザー干渉計による地殻ひずみの精密観測, 精密工学会誌, 77, 4, 367--371, 2011. A. Araya, T. Kanazawa, M. Shinohara, T. Yamada, H. Fujimoto, K. Iizasa, and T. Ishihara, Gravity gradiometer implemented in AUV for detection of seafloor massive sulfides, Proceedings of the OCEANS 2012 IEEE Hampton Roads Conference & Exhibition, 120601-087, , 2012.